imei.lt - iOS, Android OS, Windows 8, išmaniosios technologijos, išmanieji, įrenginiai.imei.lt | iOS, Android OS, Windows 8, išmaniosios technologijos, išmanieji, įrenginiai. Three simple steps, helps you to Install SIM card and run internet, using your mobile broadband module on your HP elitebook mobile workstation computers. This solution suits all HP EliteBook models, all windows platforms etc. Solution works on HP EliteBook Mobile Workstation models: 8460w 8560w 8760w 8470w 8570w 8770w 8440w 8540w 8740w 8530w 8730w. Install HP un2420 mobile broadband module. Download and install following driver to make your broadband module visible for Qualcomm drivers. Download and install following driver, to make your mobile broadband module running, and letting the mobile broadband module reading SIM card for your HP EliteBook 8540w Mobile Workstation on Windwos 7. 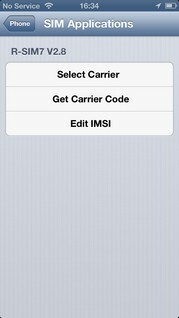 The Last step, Download and install following software, which lets you to controll your SIM card. After you finishing all these 3 steps of software and driver installation, Install SIM card (insert) to your Laptop and use your Mobile Broadband Good luck. Thats it, have a nice day. please put the thank in comments if it was helpful for you. Thank you.